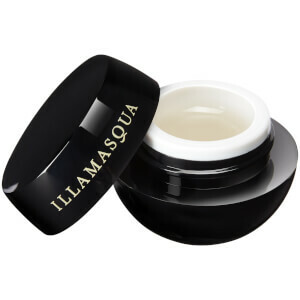 Perfectly prep skin with the Illamasqua Satin Primer. Lightweight with a velvet-soft texture, the primer helps prolong the wear of your foundation while adding a subtle, luminous glow. Fortified with moisture-rich Vitamin E, it creates a smooth, even base across skin to minimise the look of imperfections and impart a soft, silk-like finish. Wear alone, layer or mix with foundation for a flawless, dewy complexion. Prior to foundation application, dispense a pea sized amount of Satin Primer onto the palm of your hand. Using a brush or fingers apply evenly all over the face. Mix with your favourite foundation to achieve a dewy finish and a lighter coverage. Cyclopentasiloxane, Aqua (Water), Glycerin, Talc, Mica, Peg-10 Dimethicone, Dimethicone/Vinyl Dimethicone Crosspolymer, Butylene Glycol, Silica, Polymethyl Methacrylate, Cetyl Peg/Ppg-10/1 Dimethicone, Polypropylsilsesquioxane, Disteardimonium Hectorite, Dimethicone, Aluminum Hydroxide, Phenoxyethanol, Isododecane, Methylparaben, Peg/Ppg-18/18 Dimethicone, Disodium Stearoyl Glutamate, Tocopheryl Acetate, Allantoin, Niacinamide, Panthenol, Sodium Hyaluronate, Glycine Soja (Soybean) Oil, Camellia Sinensis (Green Tea) Leaf Extract, Tocopherol. May Contain : Ci 77491 (Iron Oxides), Ci 77492 (Iron Oxides), Ci 77499 (Iron Oxides), Ci 77891 (Titanium Dioxide).